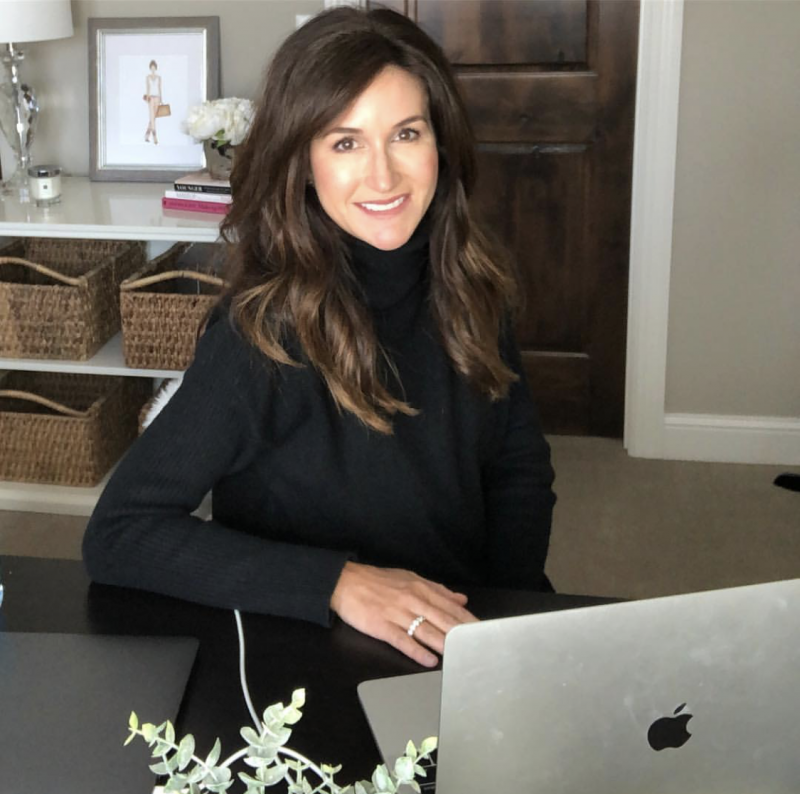 I’m sure many of you have heard about the concept of a “capsule wardrobe” on Pinterest, Instagram and YouTube. The more I read about it, the more interested I became. 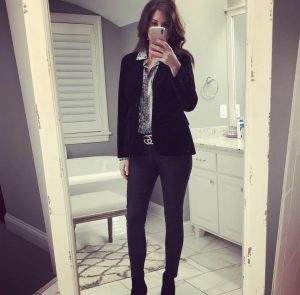 I first read about it from Un-fancy, where she defines a capsule wardrobe as “A mini wardrobe made up of really versatile pieces that you totally LOVE to wear.” Then, my friend and capsule wardrobe lover, Jenn Mapp Bressen from Tiny Closet Tons of Style coached me through my first capsule experience. You may notice that everyone in the capsule world plays by different rules; so I created my own, too. I chose 34 clothing items. (Next time I will definitely choose between 35-40 pieces.) I didn’t count accessories or shoes, and I didn’t count layering tanks or camisoles that I had to wear to make a shirt or dress work. I also didn’t count my gym clothes. When creating my capsule, I looked at my own personal style and figured out what types of clothes I wore most. In my current corporate job, the dress is casual. 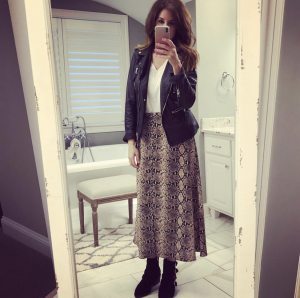 We can wear jeans, but we also have to “dress for our day,” meaning if I have important meetings, I need to look the part. The other item to note is that I work in the hair industry, and there are days that we have to wear all black so don’t be surprised if you see a lot of black items in my capsule. It’s much easier to get dressed in the morning. I wear a lot of black (and white), and that’s ok because I work in the hair industry, and it’s part of my style. 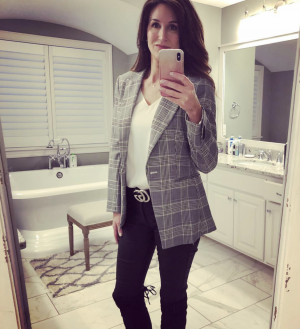 I know what my go-to winter uniform is – hello blazer and jeans! I am more intentional when it comes to shopping, and I don’t have the urge to shop “as much” as I did before. Yes, I’m excited to try it again for spring! Overall, this was a fun challenge, and I learned a lot about my shopping habits. 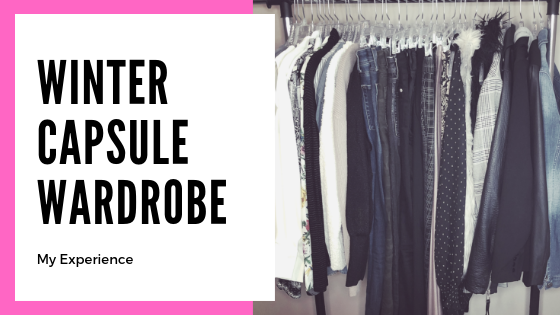 Have you tried a capsule wardrobe? If so, I would love to hear about your experience.